The All Things Chocolate Bake-Off is a yummy event made for the bakers in your life, young and old. Have a budding Top Chef? Are you a Cake Boss in the making? You will definitely want to enter! Upon completion of the judging, all entries are offered as tastings in exchange for a donation to the Humane Society. TASTINGS: 11:30 - 2:00pm or while the goodies last! The entry form details all the rules and categories for the event. 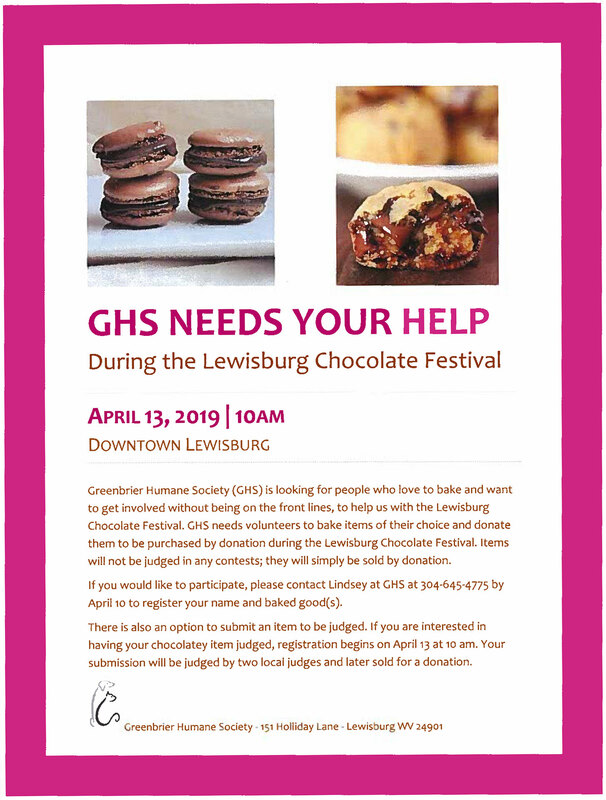 Please contact Lindsey at 304-645-4775 for more information. 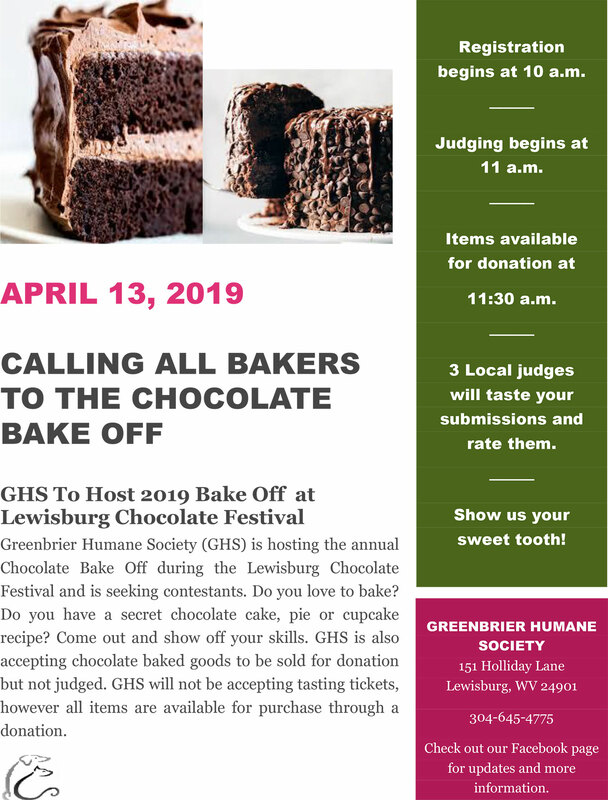 Proceeds from the bake off benefit the Greenbrier County Humane Society.